2016 has been a strong year for African sports men and women. From footballers to sprinters, sports stars have shown bravery, excellence and resilience (as well as a savvy understanding of ways to fund their sporting endeavours using crowdfunding sites). The Olympics was big: not only did African sports stars rock the opening and closing ceremonies, they picked up medals and gave performances that made the world stand up and take notice. As the year draws to a close, we take a look at seven stars to look out for in 2017. 2016 has been a year to remember for Algeria’s Riyad Mahrez. Plucked from the relative obscurity of France’s Ligue 1, the tricky winger finished the 2015/2016 season as an English Premier League Champion as well as the PFA Player of the Year. Although his club team Leicester City have been unable to replicate the heroics that saw them win England’s top title, they have successfully navigated the group stages of the European Champions League, thanks to Mahrez’s goals and assists. As the year has drawn to a close, Mahrez has continued to pull in the accolades as he won the BBC’s African Player of the Year and was also the top ranked African player in the Ballon d’Or rankings, finishing seventh. 2017 will begin with Mahrez attempting to add national honours to his growing trophy cabinet by helping Algeria at the Africa Cup of Nations in Gabon. Nigerian table tennis ace Aruna Quadri became the first African to reach the quarter finals in the men’s singles tournament at the Olympic games in Rio beating German former world number one Timo Boll. Described as the greatest upset in table tennis history, Quadri showed just why he was named in 2014 as the International Table Tennis Federation’s Men’s star player of the year. He ultimately succumbed to eventual Olympic champion Ma Long of China, but Aruna showed his battling spirit and never say die attitude for which he is known on the table tennis circuit. In 2017 the world number 25 and highest ranking African will be one to look out for as he seeks to challenge the top order of table tennis. 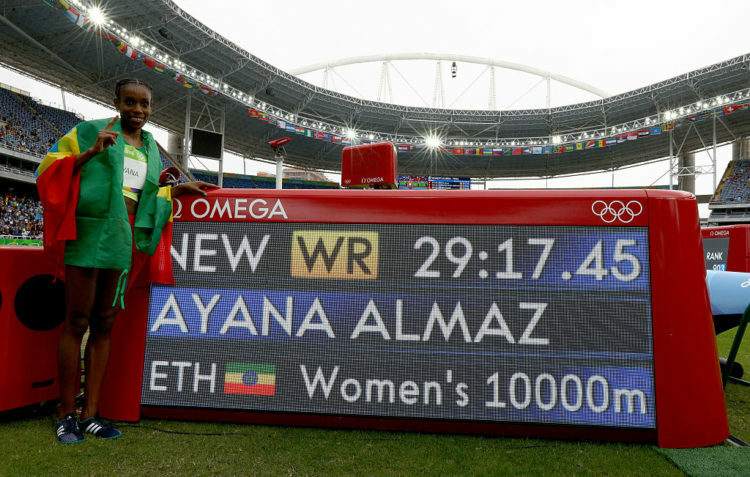 Ayana of Ethiopia took the Rio Olympics by storm by not only winning the women’s 10,000m, but smashing the world record that had previously stood for 23 years. She later attempted to complete an Olympic double by adding the 5,000m title, however, her attempt fell short and she was pipped by Kenyans Vivian Cheruiyot and Helen Obiri. With the 2017 World Championships coming up in London, Ayana will be looking to add a world title to her Olympic gold. Not a name many would have heard of in athletics. However, the 23-year-old South African was a finalist at the men’s 100m race in Rio 2016, finishing fifth with a time of 9.94 seconds. He was the quickest out of the blocks in the race, as he had the best reaction time of 0.128 seconds. Simbine had earlier in 2016 earmarked his potential when he beat former world record holder Asafa Powell. It’s been a long time coming for South Africa’s sprinters and if Simbine can build on his undoubted talent and speed out of the blocks, he could ruffle some feathers at this years athletics world championships in London. 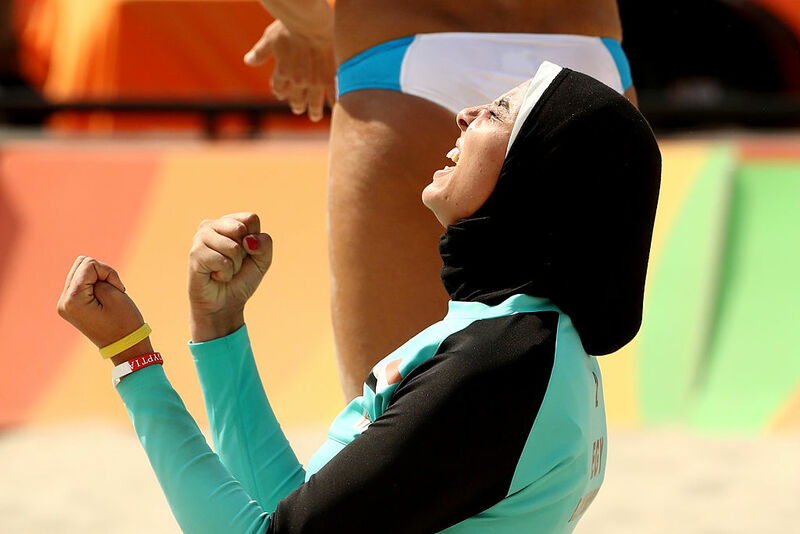 Undoubtedly one of the standout images of 2016 was that of Doaa Elghobashy who demonstrated that women’s beach volleyball was not only for the scantily clad. The Egyptian, wearing her hijab, drew the attention of the world. She highlighted the need to better representation of those who would otherwise feel that their religious inclination prevents their participation in sports. Although the image also brought criticism, it nevertheless stimulated conversation on the need for diversity in sport. Sport has always been that platform capable of breaking taboos. In 2017, we will be looking out for Doaa Elghobashy to see how her volleyball career continues. The new pin-up boy of South African cricket. At just 21 years old, Rabada cemented his name as the future of South African fast pace bowling when he destroyed Australia’s batsmen by taking five wickets in the November test in Perth. South Africa, often battling with the lack of player diversity in its cricket team, seems to have unearthed two. Rabada, along with batsman Temba Bavuma are leading the way in showing that black players are not just tokens in the team, but that they can play the type of cricket that will instil fear in their opponents. The number of black players making the South African cricket team is still not good enough so hopefully Rabada and Bavuma will encourage more to believe they can succeed by continuing their rise over the various test matches in 2017. 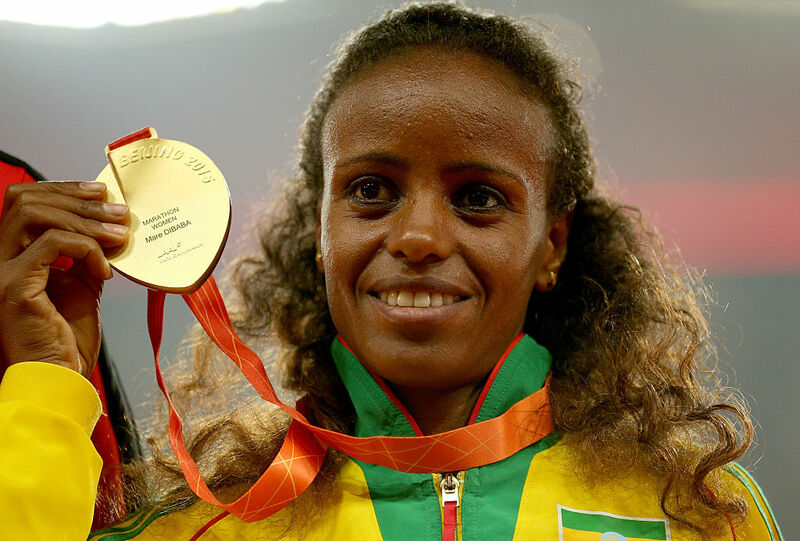 With the surname Dibaba, it is easy to assume that Mare is another member of the famed Ethiopian family of athletes that include Tirunesh and Genzebe Dibaba. However, Mare a marathon runner is unrelated but equally talented. She won marathon gold at the World Championships in Beijing and followed up the performance in Rio finishing third behind Jemima Sumgong of Kenya and Eunice Kirwa of Bahrain. With the world championships in London coming up in 2017, Mare will be looking to defend her title and continue the Dibaba legacy.